SCOTT LANG's life is a bit of a mess. But when he got out of jail (yeah, jail), he swore he'd to turn it all around. Go straight. Show his daughter and ex-wife he's worthy of being a role model. But when a "last score" lands him in HANK PYM's size-changing suit, Scott finds himself in a brand-new role: as the ANT-MAN! Hank needs someone with Scott's skills to stop DARREN CROSS from weaponizing his size-changing technology, and it's going to take the team of Scott, Hank and HOPE (daughter of the original WASP) to save the day! The adventure doesn't get any bigger (smaller?!) than this! 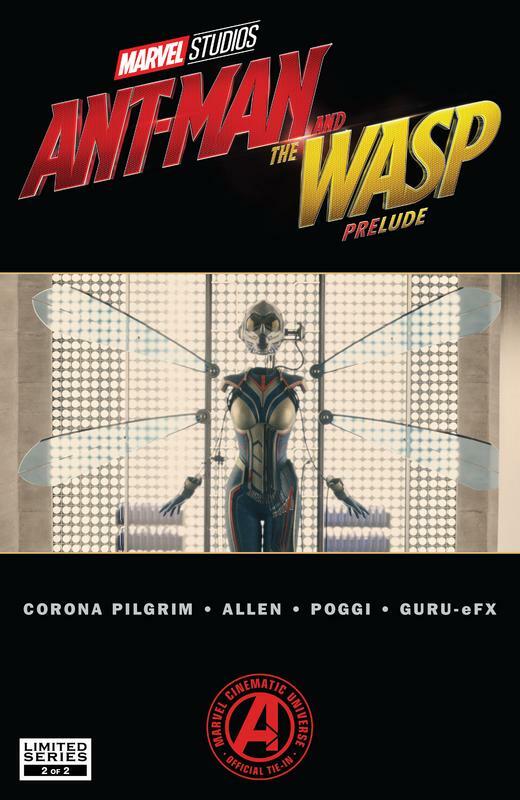 See Scott's first mission as the ANT-MAN, and how HOPE VAN DYNE became the WASP in this adaptation of the original hit film before this summer's feature MARVEL'S ANT-MAN AND THE WASP!